Many thanks for the support to Henro and the manufacturer Asus. 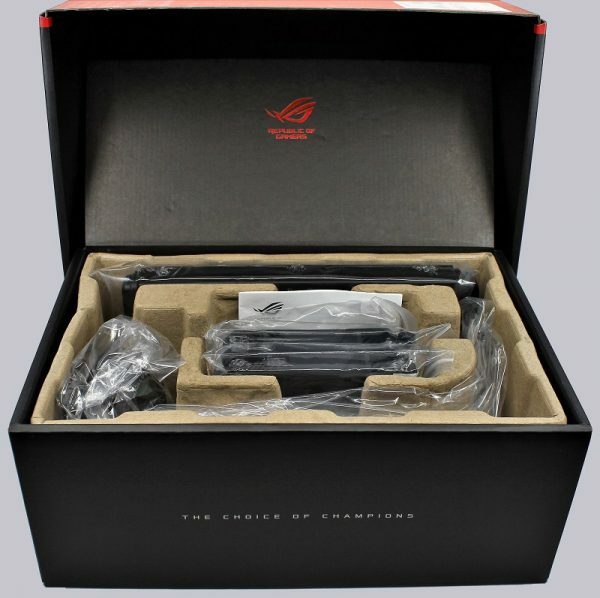 The Asus ROG Ryuo 240 currently has a price of about 175 Euro (01/2019). 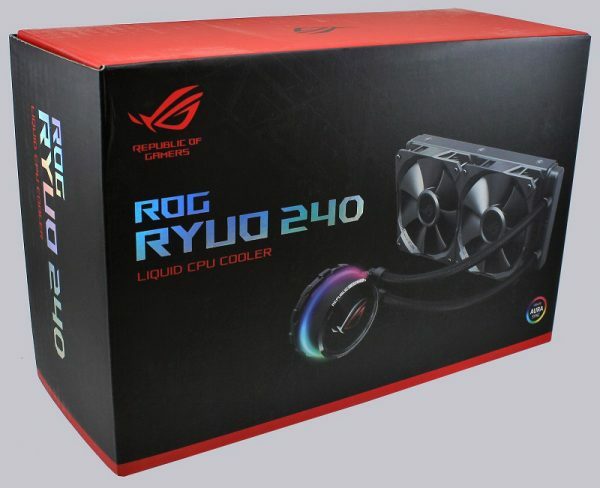 Here you can buy the Asus ROG Ryuo 240 watercooling. 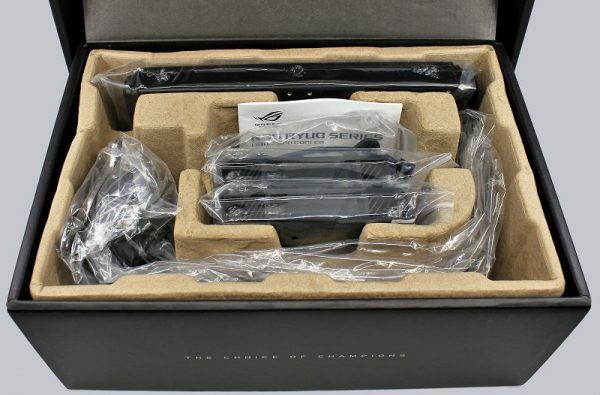 The Asus Ryuo 240 water cooling comes in an Asus ROG style packaging, very chic with shiny glossy print. 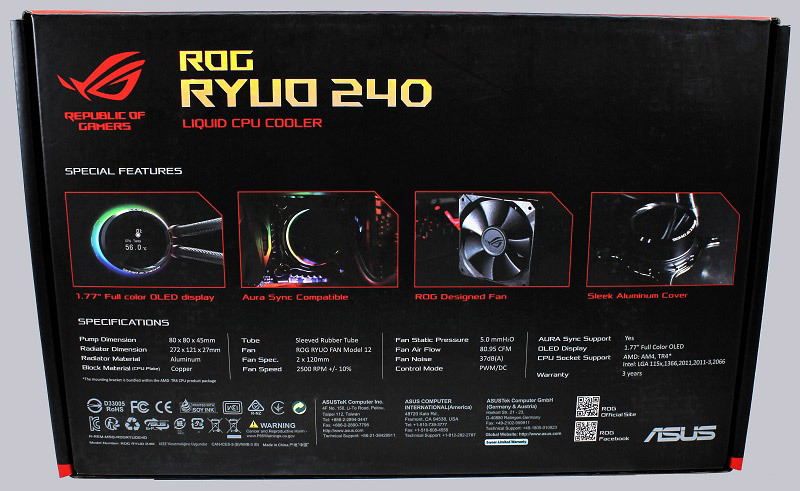 On the back we find the main features of the Ryuo 240 water cooling and the technical data. 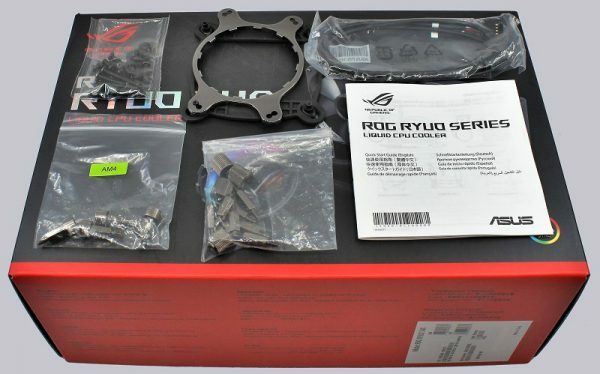 The lid is Asus typically equipped with an extra ROG facing. 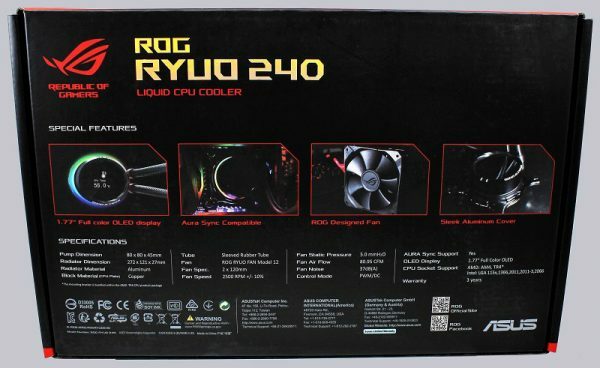 The Ryuo 240 water cooling and accessories are packed safely and clearly in a box. The accessories and printed instructions for all common AMD and Intel sockets.